College Scooters is ready for your Vespa service and repairs in Washington, DC. We have worked on nearly all models of Vespas, both vintage and modern. We know the best places to get parts for your Vepsa, too! 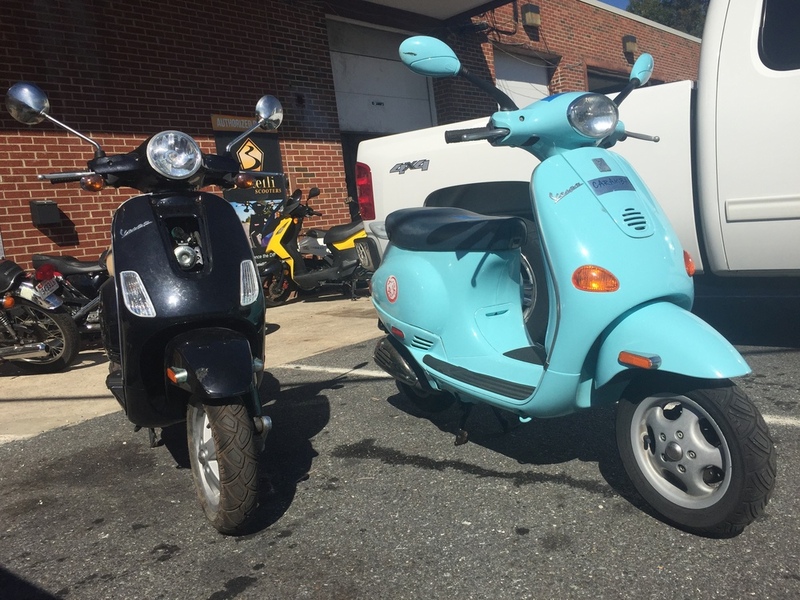 Whether your Vespa is from the 60's or the 21st century, we can handle it. We've restored classic Vespa machines that customers imported themselves, and on a regular basis service Vespas from the Vespa dealer, but at a considerably more affordable cost because our labor rate is more than 25% less than our competitors! Need pick-up and drop-off for your Vespa in DC? We've got you covered! Just give us a call at (410) 929-6402 to arrange transport. College Scooters was founded in 2010 with the goal of improving the lives of our customers through efficient transportation. Let us help your keep your Vespa road-ready today!